Have those January/February “Blahs” begun to rear their ugly heads? Do you feel a lack of spirit and vitality?? 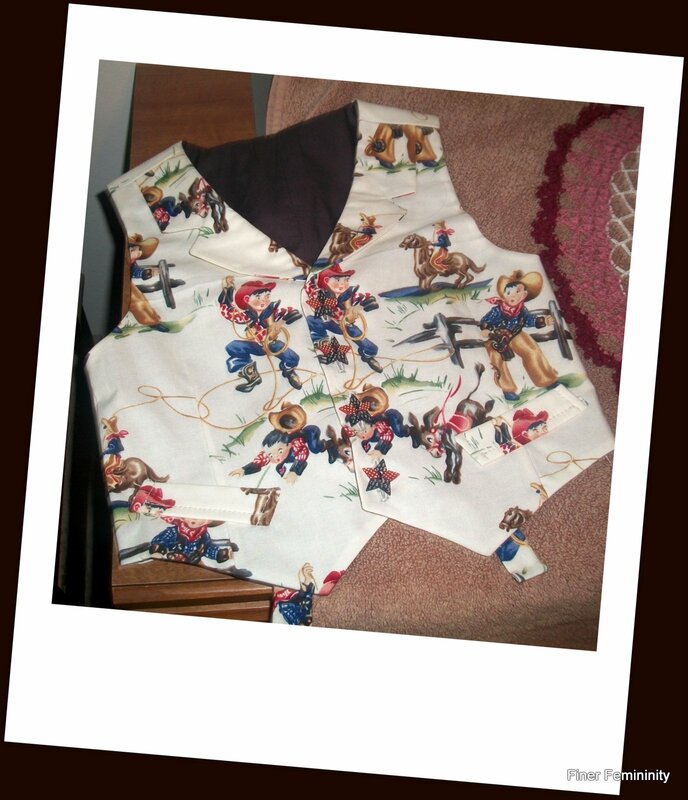 NOW is the time to take up a craft, do something creative!! It helps us get over these winter months as we await the arrival of……SPRING!!!!! It took me a while to actually get started but I forced myself. 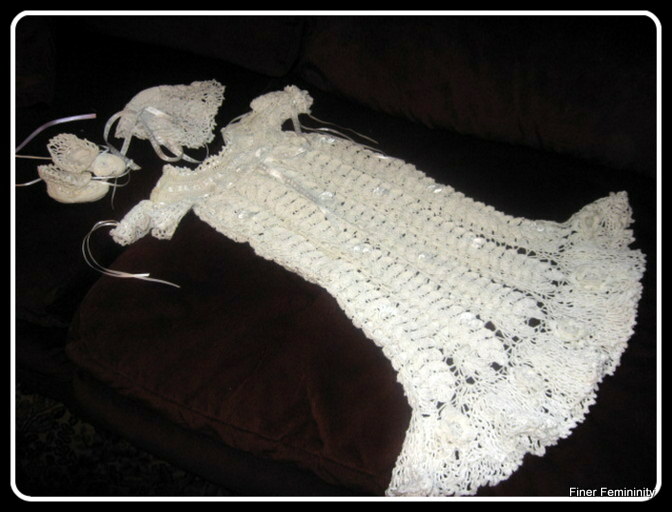 I didn’t get a gown made for Jeanette’s first baby…..so since she is expecting her second in June, and she wanted one so very much….I picked up the crochet needle once again! I watch it grow in my children and I see the satisfaction in their eyes of something beautiful being produced from their own hands and their creative imaginations. Being creative is a healthy outlet, it gives them a sense of worth and it makes them happy. It also demands of them discipline. When the project is no longer “fun”, they must persevere until the end to get the satisfaction they are striving for. I notice, too, that they are most often making their creations for other people. So it is also a form of selflessness. The hours spent on a project, with someone else in mind, is a generous act on the part of the child. Two years ago, for Christmas, our oldest son, Sep, came over with his family bearing a gift that took two men to carry. It took our breath away and will always be part of the decor in our home! 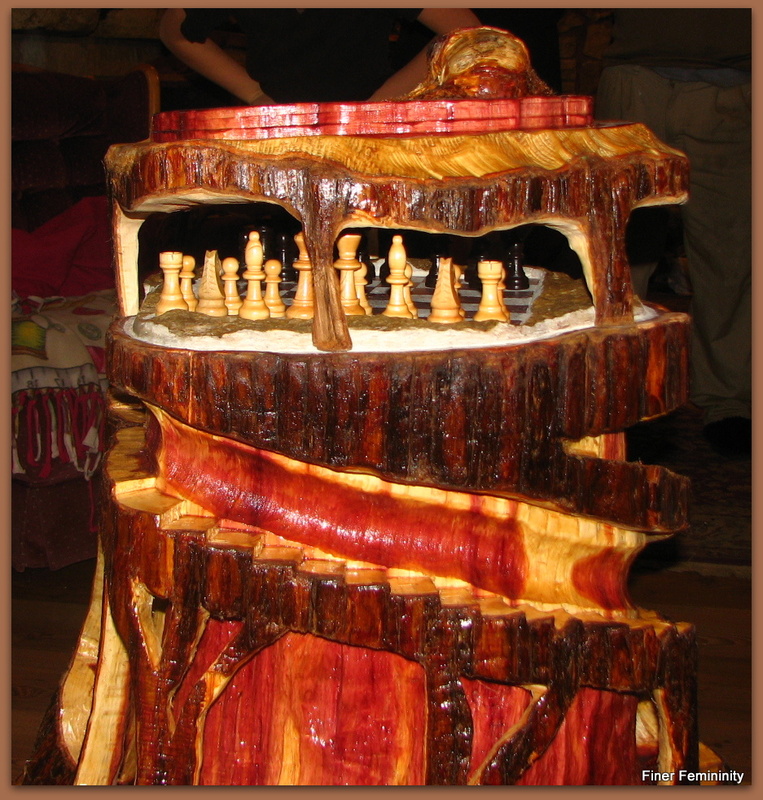 It was a chess table made out of a cedar tree that they had cut down. 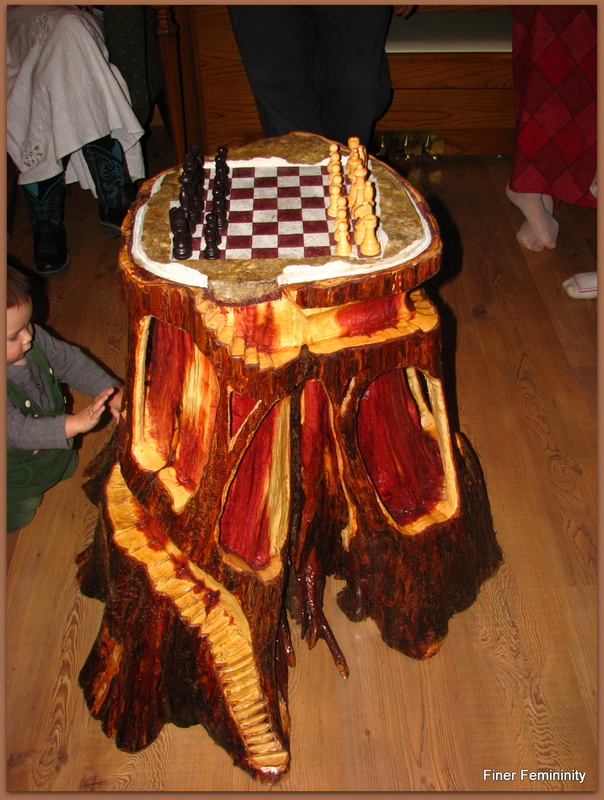 The actual chess board is a piece of limestone that they laid into the stump and stained with the familiar squares of a chess board. He even made a lid for it with a knot from the tree as a focal point. It is so beautiful and a testimony of his creative talent! It took many hours with a chainsaw, a saws-all and a chisel. Creativity can be born out of necessity, too. 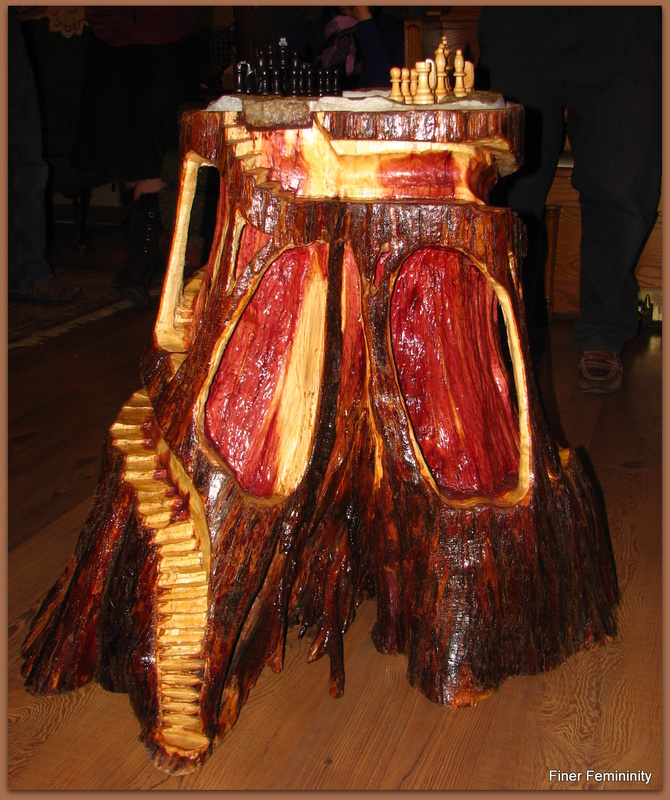 I remember watching my son, Dominic, make a log splitter out of a bunch of metal parts. It was surprising to see something practical emerge from a bunch of scrap metal. It was an odd looking hunk-of-junk but it served the purpose and I truly was amazed at how it worked. So creativity can be born of a practical necessity or it can just be an artistic expression. It is something special because we have made it with our own hands. Something of our own does not mean it needs to be completely original, but something that we have poured ourselves into using our God-given abilities. Oftentimes we need to start by copying from other others who have gone before us and eventually our own expression is made more apparent in the things we are creating. 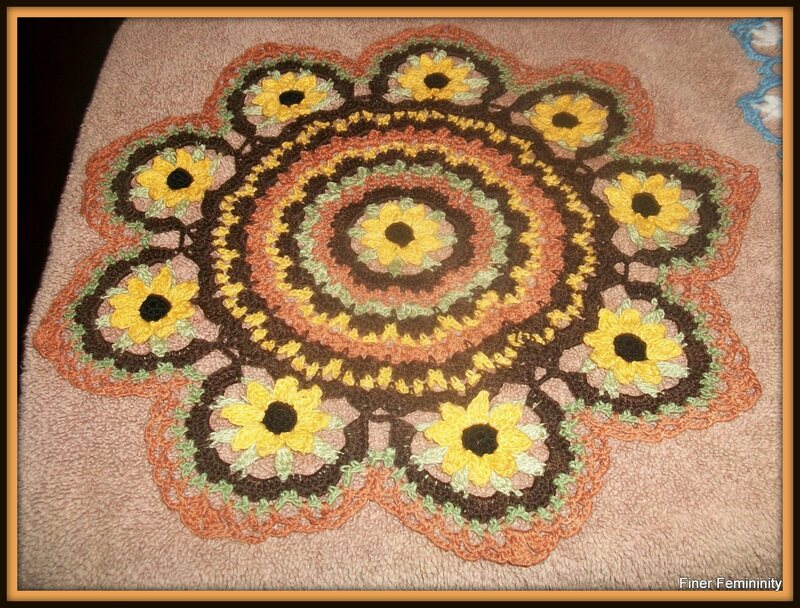 When I started crocheting, I followed patterns right down to the stitch. I was creating and it was so much fun! 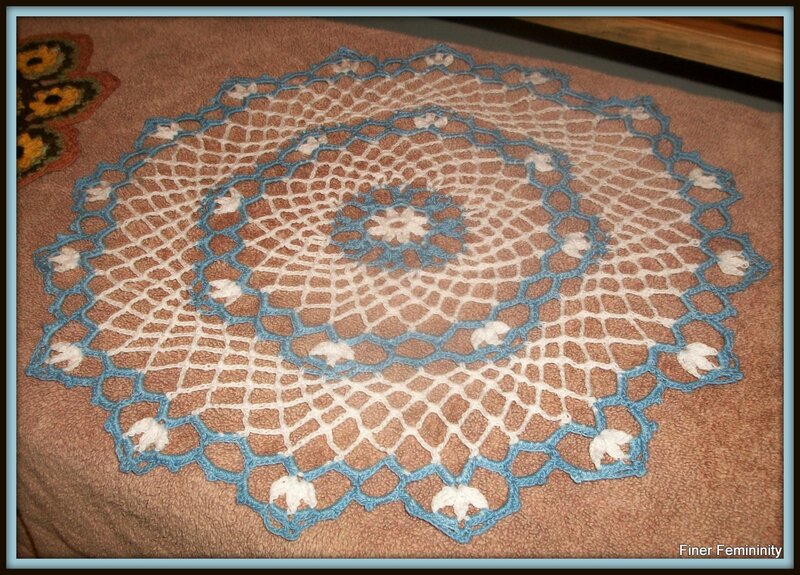 As time went on and I kept practicing I was able to add my own touches, correct mistakes by using my own ingenuity and make some of my own patterns. It took time….but eventually more creative juices began to flow and I was able to come up with touches that showed more originality. It is in our nature to create. Creativity is a part of happiness and success in this life. Creative people are interesting people. Some people complain that they are not creative and they say that other people are just born with the gift of creativity. I do not believe that. It is true, creativity expresses itself in different ways by different people, but everyone has some kind of ingenuity just waiting to be explored. My oldest daughter Virginia is creative in the way that we think of creativity. 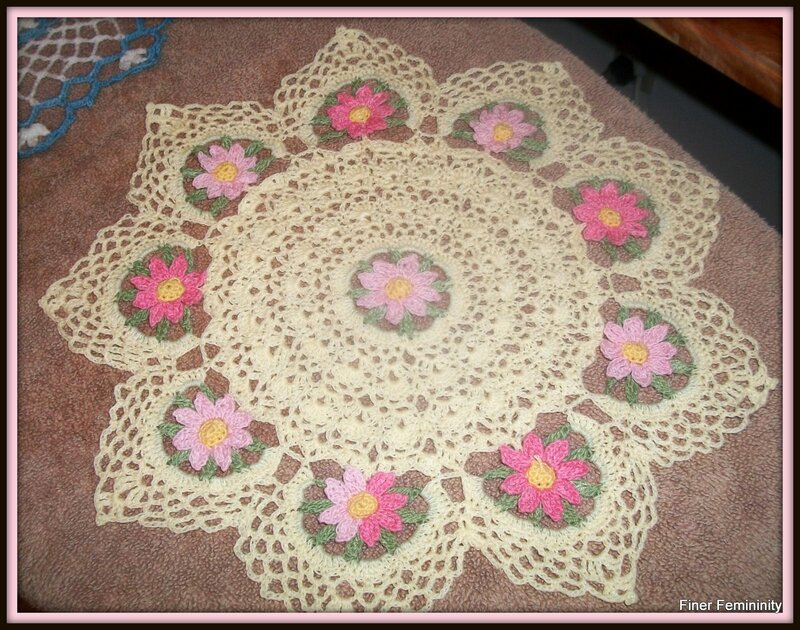 She crochets the most beautiful things…doilies, booties, bonnets…and she sews lovely dresses, skirts, vests, etc. My daughter Theresa always said those things bored her to tears. But she is innovative in other ways. Her baking and cooking skills are exceptional and she is the one that organizes the parties around here. She uses her creativity in thinking of ways to help others and make their day brighter. Her flower arranging and interior decorating skills definitely give evidence of her ingenuity. We are all born with creativity but often times throughout life it is either left to grow stagnant or it is squelched because of the negative influences in our lives. But we do not have to give into that. We can begin again if our creativity has laid dormant.We just need to spark that enthusiasm. With access to the internet like we have today, Youtube and Pinterest provide many opportunities to whet our crafting appetites. When we are working on our projects, we oftentimes want to see the results very quickly. This is where the perseverance and discipline come in that I mentioned earlier. We have to be patient with our creative outlets. 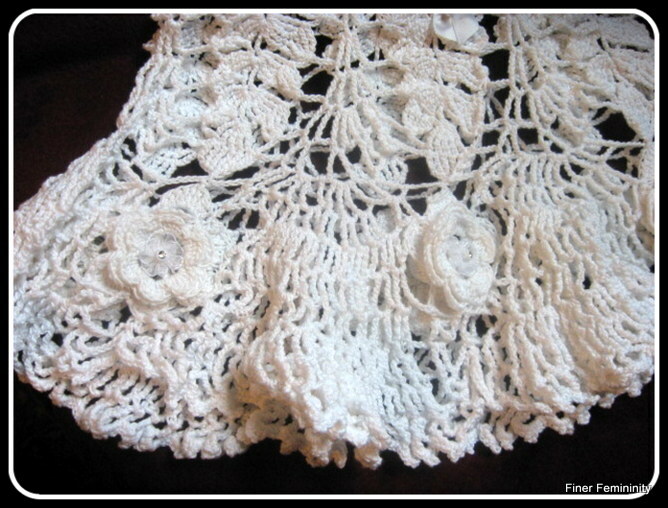 I remember the first baptismal gown that I crocheted with crochet thread. It was very tedious and I ended up ripping the first part out eight times. Every day I put on my list that I would do two rows of crocheting. I was very busy at that time but I was looking at the end result when the project had become tedious. Since then I have crocheted five of those baptismal gowns. They will become heirloom gowns for my children and their children and it was well worth pushing through the blah times! When the artist, child or man, makes an image, not to what he fears, but of what he loves – his art is more than communication, it is communion with others. It is the means by which he gives the wonder of his inward self to other people, and when they respond to him by delighting in the thing he has made, it is because it also expresses that which was inarticulate in their own souls. In the thing of beauty made by a man’s hands, the thing into which he has put his own life, other men recognize the secrets of their own inward lives. “Homeschooling mamas are almost always in a hurry. Hurry and creativity cannot sit in the same seat. Stationing a baby or toddler in a puddle of warm sunshine that is pouring through the window, where he can stack blocks, paper, and various objects, is a simple, soothing creative afternoon activity. Letting children play in the dirt, making roads, bridges, lakes, and buildings is creating the next generation of builders and makers. Your children need to be encouraged to be creative! Thank you for sharing this! 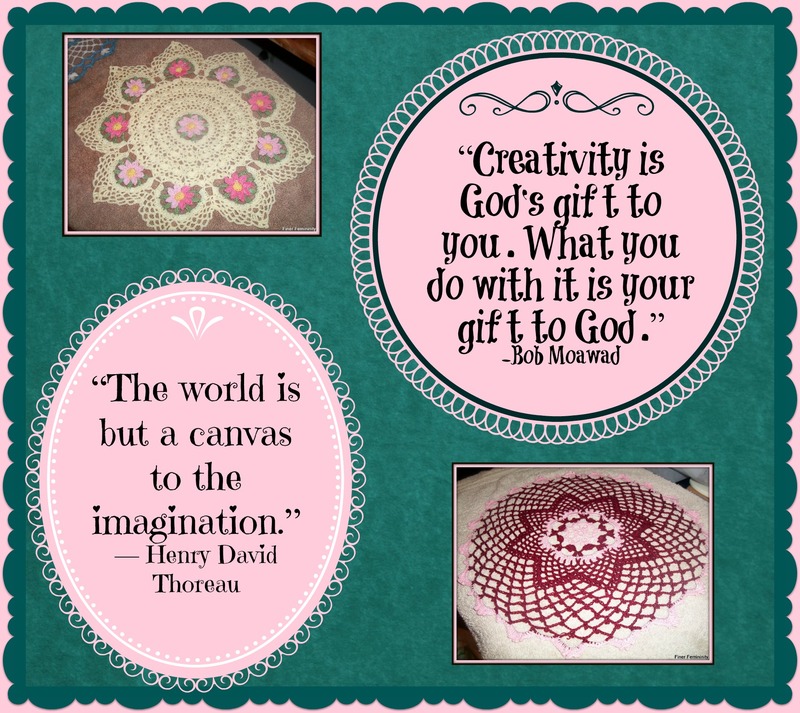 I’m always a bit in awe of sewn, crocheted, knitted crafts… but mentioning your daughter, who is more of a party planner and baker, is a nice reminder that creativity can show in many different ways! Art, music, decorating, crafting, cooking etc. And the reminder that hurry and creativity are mutually exclusive is great advice for this coming fall when I will begin our homeschool journey. Thank you for the boost of energy. We have a lot going on here….some creative, some just lot of everyday stuff, and it was sad taking down all the Christmas decorations. 😦 But He shall come again! 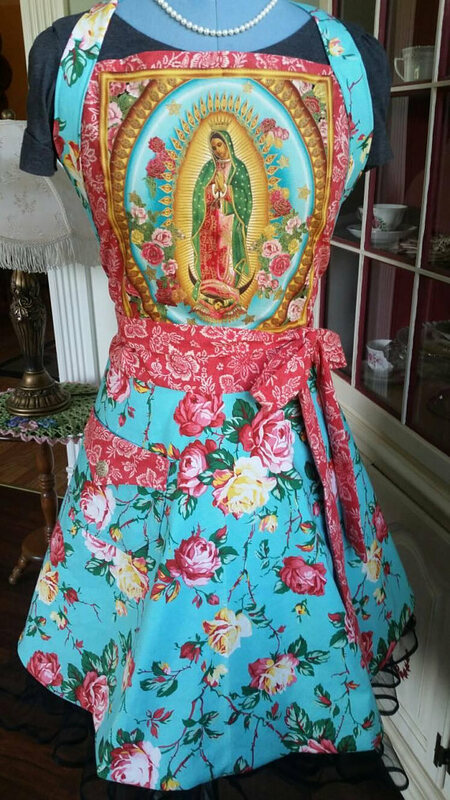 Those baptism gowns are quite lovely, quite lovely! Ha ha! 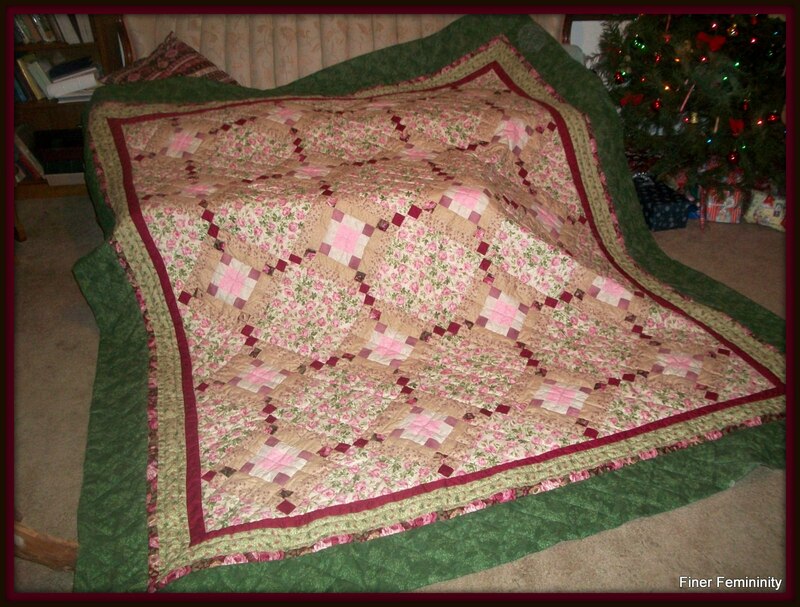 This post even inspired you, the Crafting Queen, to quit procrastinating, didn’t it?